The Best DJ in Michigan, Up Lighting, Special Effects, and Photo Booths for rent with a twist. With high energy introductions, as we put you in the spot light during your first dance or introduction. Your names or company logo on the wall with a glowing elegance and your choice colors around the venue setting the mood for everyone attending your exciting event. Dance the night away with the Best DJs in Michigan. Snapping memories in our Photo booth while guests take home photo strips of the unforgettable evening. 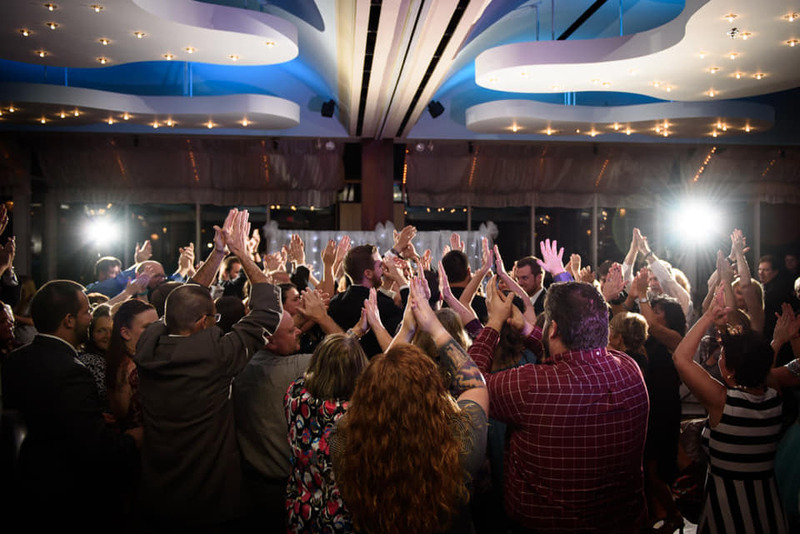 Our Michigan DJs provide more than just music at your event, we help plan your event with our online planning and final meeting with your DJ before your Michigan event. This helps us understand all of your event needs with detail. Every event is different and we always customize the Best DJ in Michigan, Up Lighting, and our Photo Booths for rent in Michigan to fit appropriately. Why do we stand out from the rest? Our Michigan DJs, Photo Booth attendants and Lighting techs Love what they do, always going the extra mile to ensure the personalization of your event. If you want your event to be different from every other event you have found the Best DJs in Michigan, the Best Photo Booth rentals in Michigan and the best Lighting and special effects. Visit some of our online reviews pages to see some of our awards on The Knot and Wedding Wire . Browse around our website to see the Dramatic Dimensions Difference. Are you’re ready for the night of your life with the Most Talked About Best DJ in Michigan, Up lighting , special effects, and Photo Booths for rent in Michigan? Check your special date and tell us all about your event details. We will contact and provide you the Best DJs in Michigan. I used Dramatic Dimensions for my wedding and they were AWESOME!!!! Everyone was up and dancing, checking out the photo booth and getting pictures, and the up lighting was amazing!!! I loved all of it. The room looked beautiful! I worked with Mike and he was great, very attentive to the time of when I scheduled dances and awesome at getting everyone on the dance floor. I didn’t have to remember anything he had it all covered. Amazing! So many people came up to me after and said they had such a great time with the photo booth and loved the music. I absolutely LOVE my photo booth book such a great idea and enjoyed reading the things people said next to their pictures. All the pictures were so great too. I definitely would recommend him to others. I actually have a couple people using his services this year. We worked with Dom for our wedding. Before the wedding he was great with communication and making sure everything was prepared for. At the wedding he kept everything on schedule, provided excellent flow with music to keep people dancing, and worked well with photography to make sure they were there for big events. After the event we still have people telling us how good the DJ was. We had a tricky situation with my mother being in a wheelchair and Dom provided a great way to still do the mother & son dance. She was very worried about it, but it turned out to be a highlight of the evening. Such Outstanding Music and Service, I had nothing but compliments all night long. they were very professional!! They were So amazing! i could not ask for a better DJ company to do my wedding! People still talk about what a great job they did and how much of a great time they all had at my wedding! This company is amazing!